Hunt’s new product will further complement the Coastal Series, which presently consists of the Hunt Center Console 26 and 32, the Surfhunter 32 and the Harrier 26. All are outboard-powered and are newly reconfigured designs since Hinckley acquired Hunt Yachts in 2013. The Hunt Coastal Series is built in Rhode Island, USA. “Jay Stockmann is taking over a very seasoned staff of talented individuals,” said long-time Hunt President Peter Van Lancker. “Jay is well liked and respected in our industry and I have no doubt he will do a great job. 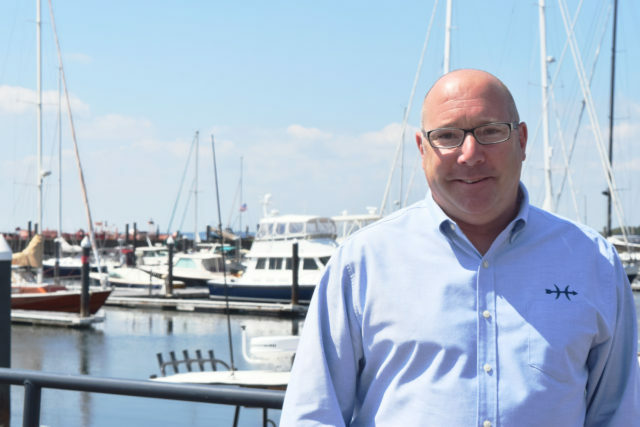 Peter O’Connell is building a strong team at The Hinckley Company.” Van Lancker will continue to oversee the build process of a Hunt Ocean Series 74 under construction. Stockmann has long experience in the marine industry including recent roles as CEO of VETUS-Maxwell USA and Executive Vice President of Lewmar USA. Click to learn more about Hunt Yachts and Morris Yachts.